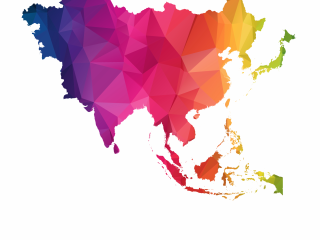 It wasn’t all bad for Indonesia and the Philippines - the two Asian economies hit hardest by the emerging market contagion in the third quarter. At least that’s what the consensus 3Q GDP growth forecasts for the duo suggest. 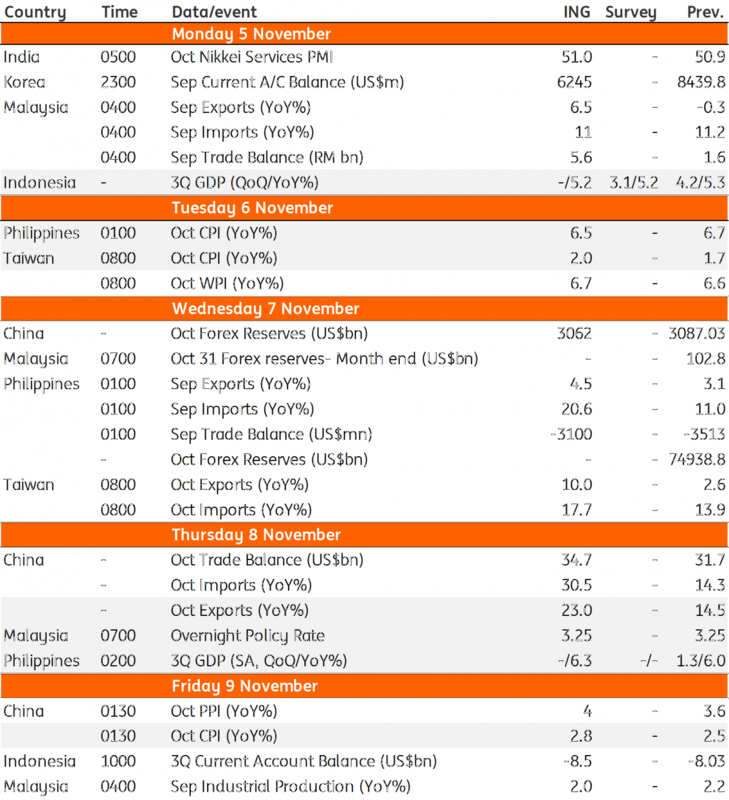 Despite the aggressive tightening by respective central banks, the 5.2% consensus estimate for Indonesia is hardly a slowdown from the 5.3% pace of the previous quarter, while the Philippines’ growth rate sped to 6.4% from 6.0%. Firmer growth also means greater resolve by central banks to tighten the policies if emerging market contagion hits again as external risks loom large. But with the inflation pressure in both economies starting to subside and currencies stabilised, the tightening pressure also appears to have eased. Inflation in Indonesia remains anchored at the 3% level and is expected to recede from the 6.7% peak reached in September in the Philippines. That said, we still expect one more 25bp policy rate hikes by Bank Indonesia and the Bangko Sentral ng Pilipinas before the end of the year. Malaysia’s 2019 budget, due to be released tomorrow will set the tone for local markets for the week in which the country’s central bank also announces its monetary policy decision. Coming just ahead of the meeting, September data on trade and industrial production will be key inputs for the Bank. We expect the Bank to remain on hold and leave the policy rate at 3.25%. And we aren’t alone; there is a solid consensus behind this view. The activity data will reinforce a sustained slowdown in Malaysia’s GDP growth. This warrants continued monetary policy accommodation to the economy, especially when weak public finances are squeezing the fiscal support. The government budget deficit is poised to rise above the 3% mark in the current year (ING forecast 3.2%) and remain there through 2020.